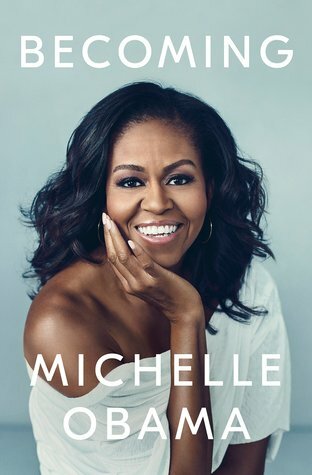 Happy Pub Day, Michelle Obama! Hi, bookhearts! If you follow me on Twitter, you are familiar with my live tweeting of television and award shows. I sometimes live tweet my reactions while listening to new music too. So I figured, why not do the same thing for books? I am going to "live read" Becoming, a memoir by Michelle Obama. She needs no introduction but deserves all the recognition: Former First Lady of the United States, mother of two down-to-earth daughters, wife to the first black President of the United States, one of the most iconic women of our era, initiator of a more active and healthy nation, advocate of women and girls worldwide and proud South Side Chicagoan. And she can dance too! Becoming is Michelle Obama's revelatory story in her own words, on her own terms. I am settled in with the new hardcover edition, a cup of hot Lady Grey tea sweetened with raw honey and a touch of creamer, Walkers shortbread cookies and snug in my faux fur throw with the fireplace lit. I am in my reader's element excited to begin reading. I encourage buddy reading so here's the Reading Guide for book clubs and others reading along with me. 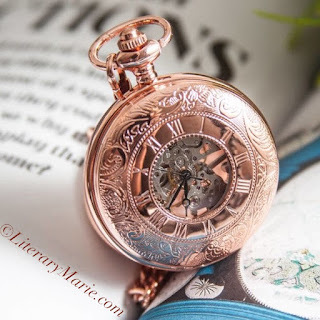 Bookhearts, revisit this page to see my live updates and final book review. 11.14.2018 I have the hardcover and the eBook so I can read on-demand. 11.16.2018 First Lines Friday: "When I was a kid, my aspirations were simple." It is only the Preface and already I relate to Michelle Obama. As kids, we have simple thoughts as to what our future should be. Think about it—not once has a child said they look forward to paying bills, working overtime, dating or infertility. Common answers are doctor, lawyer, mother or sports player. So it really is one of the most useless questions an adult can ask a child—What do you want to be when you grow up? 11.18.2018 Clearly I am taking my time reading this one. Absorbing every word because there are lessons to be learned within her reflections. For example, Chapter 1 is a story of her first piano recital. She was used to practicing on an old piano. So when seated in front of a sparkling baby grand piano, she was hesitant. Where to place her fingers? Where is the middle C key? There will be a time in our lives when we are taken out of comfort zone. Take a breath. Focus. And excel. 11.20.2018 "It takes energy to be the only black person..." I work in an industry dominated by older white men. Sixteen years in this career and I am sadly used to being the only meatball in the rice. As I move deeper into the industry and expand my professional circle, I am the only poppy seed in a bowl of salt. A young black chick is the last person expected in the room. So when Michelle Obama broke down how it takes energy to be the only black person...whew! I felt that. This is turning into a blogmoir post, let me get back to the book. 11.21.2018 "I'm not raising babies. I'm raising adults." It seems Mama & Daddy Robinson had the same parenting method as my parents. 11.22.2018 Since I am not behind the wheel, I am back-seat reading while en route to spend Thanksgiving with family. Ah, it is the little things in life that I am thankful for. 11.23.2018 The BECOMING ME section was very informative. Well-paced and set the stage for rest of the book. As I begin reading the second section, BECOMING US, a thought hits me. I could be missing out on "my" Barack! When Michelle met him, he didn't have a car, smoked cigarettes, was not fully settled in profession, and other things that are on my dealbreaker list. I need to ditch my box-checker mentality. I could be blind to a whole husband! Let this be the reason I open my eyes and "let my insanely high standards slip." 11.25.2018 The storytelling is truly mesmerizing. A working-class black girl from the South Side of Chicago became the best First Lady of the United States. Read that sentence again; I'll wait. 11.29.2018 "I'm an ordinary person who found herself on an extraordinary journey." And oh, what a journey it has been. Reading Michelle Obama's memoir is a must. It is not an option. It is more than a mere suggestion. Consider it required reading for every dignified minority whose voice should be heard and whose existence should be known. 11.30.2018 Seventeen days. It took me seventeen whole days to finish a 400+ page book. Why? Because I did not want the story to end. Because I soaked up every syllable. Because I took my time reading and related each chapter to my own life experiences. In fact, all of my bookish buddies are taking their time with this one. Let me attempt to explain why. Becoming is like a homemade meal. You are excited while grocery shopping for the ingredients (checkout in your online cart or purchasing in a brick and mortar bookstore). You get home and lay everything out on the counter (admire the book, read the description again as if it even matters at this point. Change your social media status to "currently reading.") Start preparing the meal and cooking (crack open the book and read a few chapters). Once the meal is finished cooking and you smell the aroma, your mouth is watering. You've waited for this moment of tasting your home-cooked dish. Closing your eyes in ecstasy on the first bite. But you don't want to rush it! Take your time eating (reading) until the last forkful (page). Look down at your clean plate (closed book) with a smile. What a satisfying meal (book)! Now pass on the recipe (recommendation) to friends, co-workers, loved ones, or gift a fellow American. This memoir is so well done. Thank you for sharing your unique story with such grace, Michelle Obama.